Discussion in 'Street/strip 400/430/455' started by Christopher Spouse Drew, Apr 15, 2019 at 1:53 PM. So im trying to get parts for my 74 block 455 build. 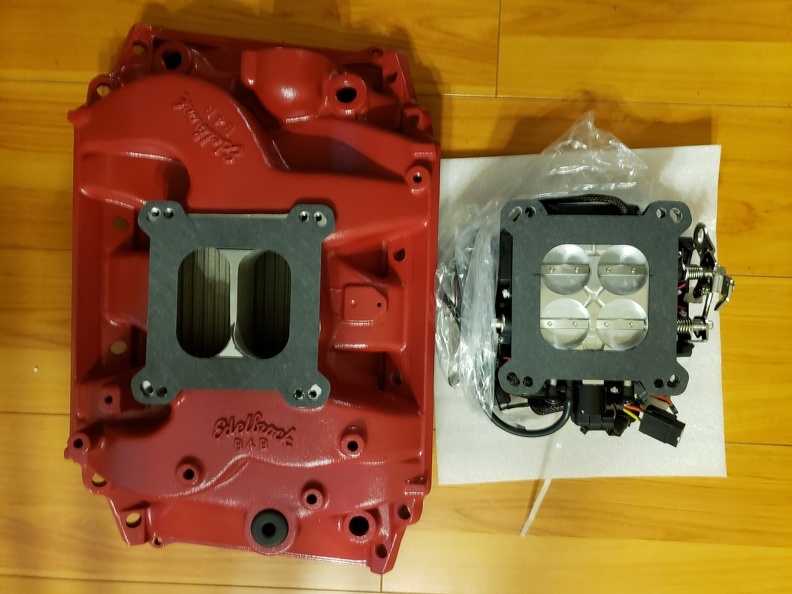 I'm using one of the EFI companies out there (holley sniper or fitech) and im looking for manifolds and I came across someone selling this and I noticed that this B4B has one set of threads and the new ones from edelbrock has 2 sets of threads for different applications. So how old is this B4B and will it work with EFI? Thanks guys! I think there are three versions. And the "latest" with the dual threaded bosses so a square bore or spread bore can be mounted but is set more centered on the runners to perform better. I have the last one (dual thread bosses), and have the FiTech EFI for the 430 build I am doing. The FiTech has dual mounting flange holes, so if can be bolted to both square bore and spread bore pads, and I already fit checked it to make sure it sets and seals properly and it appears to be fine. But you may need an adapter or steel plate. (the bottom of the throttle body has plenty of area without passages so it looks like sealing would not be an issue). If you want, I can take pics of my B4B manifold and the FiTech gasket. Well this guy has to get back with me for a price. And if he gives me number under 200 I'll probably get it, if not, I'll get the newest one like you have. But yeah let me see your setup and it will help me when I put it together. Looking at the picture, I bet it would be easy to drill and tap extra holes if you needed to. See if the price is right. I really doubt it was welded up, but you might be right about the QC. Or maybe for a short time this how they did them. The guy I'm potentially buying from seems like he has a collection of intakes and it could be 20 years old or older.. 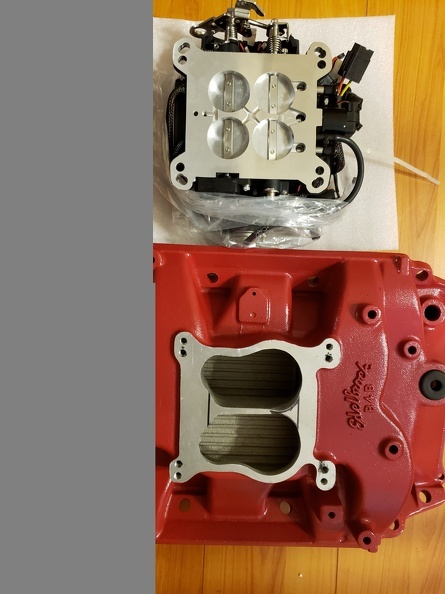 I can't imagine a situation where Edelbrock would purposely put only the Qjet pattern when it can accommodate both the 4150 and the qjet. 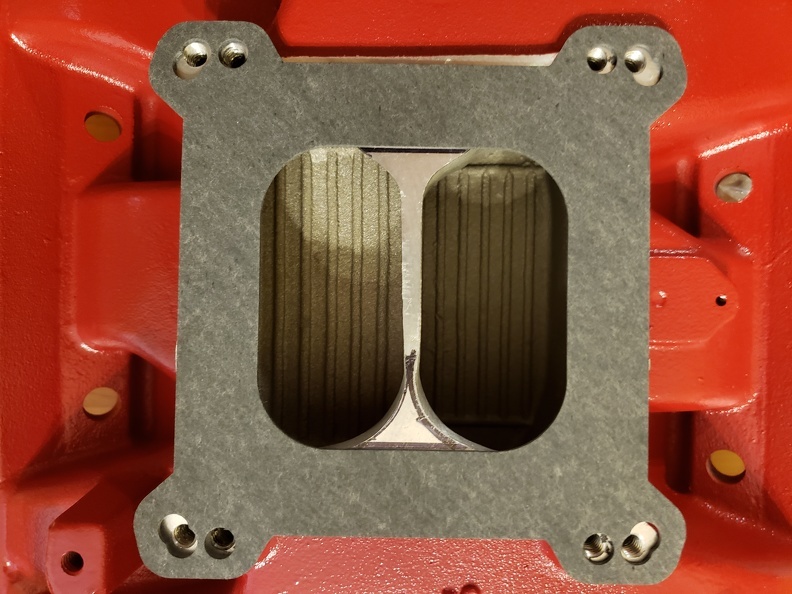 I had one once that one of the qjet holes protruded into the Intake runner and was of course a vac leak, I had to plug that hole. Yeah idk, when I talk to this guy I'll have to ask. 200-250 is the going rate. Okay he wants $ 125 and i really like that price, but i don't want to buy something useless. 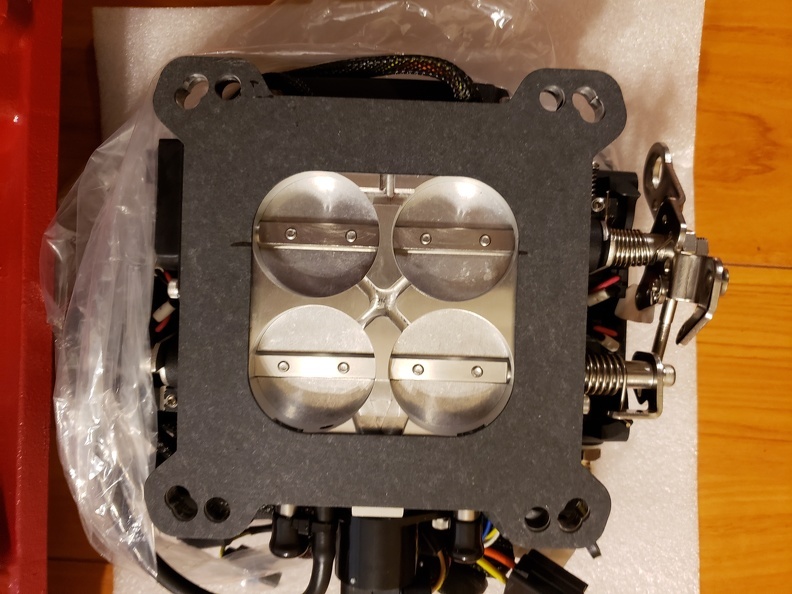 I need to know this will work with one of the EFI I choose, and i read that the earlier manifolds had bad sealing and i dont want to buy one of those. Alright, well it looks like I got a new manifold! RoseBud68 and johnriv67 like this. Thanks hugger, for setting me straight. Here's the pics and links to the high res images. That's awesome, so the set of threads I have still should match up, thanks for the pictures!